At Renascent, we offer comprehensive person-centred addiction treatment programs in a safe, caring environment. Our intensive inpatient treatment program (28 – 42 days) provides around-the-clock counselling and support from our team of registered psychotherapists and certified drug, alcohol, and food addiction specialists, all of whom have lived experience of addiction and long-term recovery. Our abstinence-based model integrates 12-step facilitation with other best practices in clinical and medical approaches. By addressing the chronic nature of substance use disorders while also recognizing how addiction impacts families, children, loved ones, workplaces, and communities, our holistic approach means we’re here for life. Because addiction affects every aspect of one’s life, our program addresses the complex needs of the entire person and provides the tools needed for healing and recovery. Renascent is LGBTQ+ friendly and welcomes all members of the community. Substance abuse affects 1 in 10 Canadians, yet most of us have very little knowledge about this disorder. An important component of recovery from addiction is learning about this chronic yet treatable disease. You’ll gain knowledge and insight into the nature of alcohol and drug addiction and how it’s been affecting you physically, emotionally, socially, and spiritually. You’ll also learn that real, sustainable recovery from addiction is possible and that your life can be transformed, as the lives of thousands of Renascent clients have been before you. The stigma surrounding substance abuse can lead to a huge sense of isolation and shame. At Renascent you’ll find that you are not alone. You’ll attend daily group sessions with others who share your experience, your feelings, and your hopes for the future. Right now you may feel a bit apprehensive about group counselling, but virtually all of our clients have reported that they found this component of treatment to be the most rewarding aspect of the program. You’ll have certified addiction experts available to you 24/7. As part of our client-centred approach, we won’t assign you a specific counsellor. You’ll be able to choose the person you feel most comfortable with for one-on-one sessions. In fact, you may have individual counselling with any of our counsellors at any time. All of them are not only addiction experts but also have their own history of alcohol or drug addiction and recovery. They truly understand where you’re at because they’ve been there themselves. At Renascent we treat the whole person, because addiction affects us on every level. Your care will be based on a treatment program designed specifically for you. The foundation of our program is 12-step facilitation therapy, which is augmented by a wide range of therapies including cognitive behavioural techniques, reality therapy, person-centred therapy, solution-focused therapy, mindfulness principles, and art therapy. Canada’s National Addiction Treatment Strategy recognizes the immense value of peer support in staying clean and sober. At Renascent, you’ll be able to experience how this works by attending 12-step meetings both in-house and in the community. This will build on your experience in our group sessions in the larger 12-step recovery community – a vital component of long-term success. Proper nutrition and sleep habits usually go by the wayside in active alcohol and drug addiction, but are an essential part of healing. While you’re learning about addiction and about yourself, you’ll eat regular, nutritious, and delicious meals and develop a healthy sleep schedule. Shortly before your arrival you’ll meet with our Medical Director for a complete assessment. You’ll also have access to comprehensive mental health assessments with our community partners before, during, or after your drug and alcohol abuse treatment. Our counsellors will work with you to provide the supports that will help you maintain your recovery after leaving treatment. You’re likely a bit anxious about the idea of living at a treatment centre. At Renascent, our centres are actual homes, not institutions. You’ll quickly feel comfortable in your surroundings, with the staff, and with the other clients in residence. Take a look for yourself. Any significant life change takes time and practice, and recovery from addiction is no different. Our Continuing Care program provides ongoing support throughout those critical first few months after inpatient addiction treatment as you begin to apply the tools you learned to your daily life and help you protect your recovery. Renascent’s Alumni Care program provides lifetime support for our alumni and their families through workshops, social events, our weekly recovery newsletter, and much more. Learn more about Alumni Care. Family members may not be addicted themselves, but they are still profoundly impacted by a loved one’s struggle with the illness of addiction. Our family programs helps those closest to you to heal in partnership with you, using the same principles you’ve learned, so you’re all on the same page and working toward common goals. Learn more about Renascent’s Family Programs. A ground-breaking new program designed to treat people who live with food addiction. After a successful pilot program, the Food Addiction Program launched in the Fall of 2017. Phone or email our Access Centre for more information and to see if you qualify: 1-866-232-1212. Learn more about the Food Addiction Program here. This quick quiz will take a few minutes and is there to see if you have a problem. At Renascent we believe that ongoing support and care is a vital part of long-term recovery from drug and alcohol addiction. Our Continuing Care program has been designed to provide you with the support you need as you return to home, school, or work and begin to learn how to navigate life’s challenges in sobriety. We’ll give you the skills you need to face stressful situations, build new supportive networks, and reduce your risk of relapse. Continuing Care is provided on an outpatient basis in Toronto and Durham. Distance learning over the phone is available to clients who can’t attend in person due to location or shift work. The program is open to anyone age 16 and up who has completed primary treatment at Renascent or with any other abstinence-based treatment provider. It offers flexible ways to keep up with all of the positive steps you took during your residential stay. Our clinical staff have lived experience in addiction and recovery, so we understand how crucial taking the first step is and the importance of timely access to treatment. When you’re ready for alcohol and drug treatment, Renascent counsellors are available 24/7 to help. Our Complete Care program offers immediate access to one of our three centres. Safe detoxification is also a crucial part of the process – we will help you every step of the way in getting access to medical services to ensure a safe withdrawal management plan. Assessments are completed over the phone with the goal of giving you an admission date by the end of the call. By attending treatment at Renascent, you are chosing an abstinence-based approach. To help you meet your treatment goals and for your safety and the safety of others in treatment, we ask that you abstain from mood altering substances prior to your admission. Before entering treatment with us, we ask that you be abstinent for three to five days from alcohol, cocaine, cannabis (and all related cannabis products, including medical prescriptions), MDMA, and methamphetamine. For prescription or “street” opiates or benzodiazepines, we ask that you be abstinent for a minimum of eight days before entering our treatment centres. If you require support to achieve this goal, let us know and we will coordinate care with a withdrawal management centre so that you can safely enter treatment with us after a period of detoxification. For your safety and the safety of others in treatment, you may be asked to provide a urine screen upon admission. If you have been prescribed medications for withdrawal, please inform Renascent before your admission. Here is a list of addictive and/or mood-altering substances and the number of days we ask you to have abstained from them before entering our treatment houses. 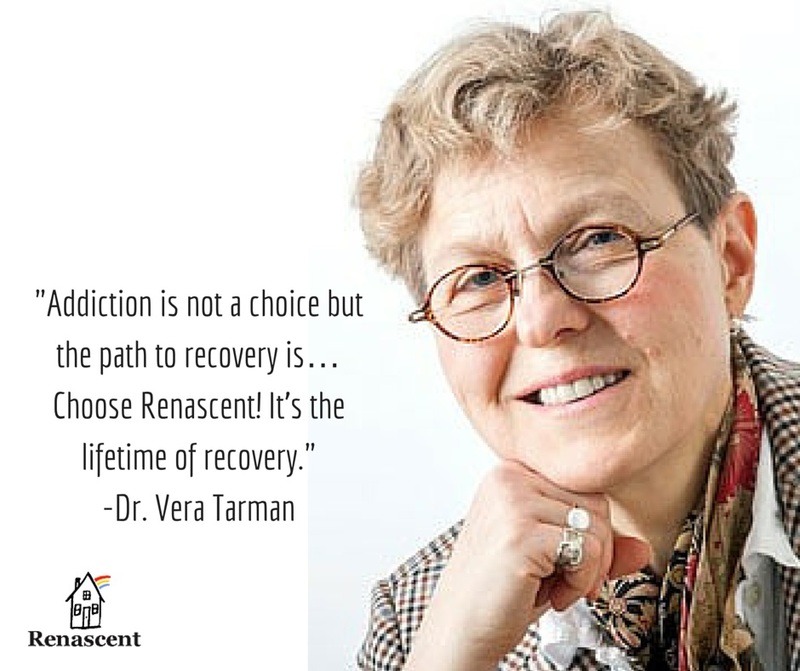 All Renascent clients will undergo a medical assessment with Renascent’s Medical Director, Dr. Vera Tarman. Please bring your health card or a valid health card number. Clients currently on bail are to bring their bail papers. Admission time is 9 a.m. for Munro and Punanai, and 9:30 a.m. for Sullivan. Please be on time. During your stay with us, you are working exclusively on your recovery. For this reason, medical, legal, business, or personal appointments are not permitted while in treatment. Please reschedule all your appointments before entering treatment. Washers, dryers, and detergent are available on-site to do laundry. Pay phones are available during limited times. Renascent has programs for your family. Be sure they know to attend Family Information Night on the first Tuesday of every month (7:00 – 8:30 p.m. at 38 Isabella Street). It’s free and no registration is required. Graham Munro Centre: Saturdays, 1:30 – 4:30 p.m.
Punanai Centre: Saturdays, 1:30 – 4:30 p.m.
Paul J. Sullivan Centre: Saturdays, 1:30 – 4:30 p.m.